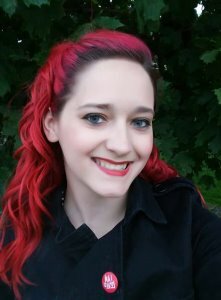 Tattoo City and the Flower of Life Art Gallery are very happy to announce that Dana Buxbaum will be returning as our new Shop Manager. Many of you may remember her smiling face at the front desk through 2013-2016. She will be joining us once again in a bigger and better role and we look forward to her charm and the great things she brings to our studio and art gallery. 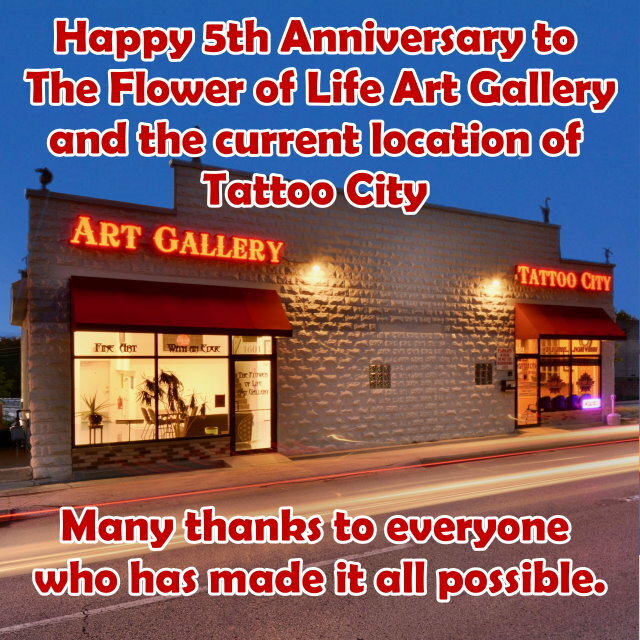 Today April 13th marks the 5th Anniversary of The Flower of Life Art Gallery and the current location of Tattoo City which was originally open June 1st 1994. It has been a roller coaster ride over the years but a rewarding journey full of wonderful people and great art. I want to thank all our staff, past and present for helping to make our shop and gallery a success and for giving our clients the best experience possible. Many thanks to Ed Smith and The Artist Guild of Lockport for the friendships through art and helping to fill our gallery walls with your wonderful creations. It has been awesome to see so many local artists come together and share the fruits of their artistic labors and it is an organization that I am very proud to be a part of. Much love and gratitude to Misty Soderholm the event coordinator and art instructor at the gallery. She has helped the Flower of Life grow into a great space for learning and sharing art with the community. I could not do it without her. We appreciate so much all the patrons of our gallery shows and the clients of Tattoo City. Thank you all for the many years of success and we plan to keep pushing for bigger and better things in the years to come. Stop by our art show opening tomorrow April 14th from 6-9 to help celebrate with us.